Kids will be kids … all around the world! 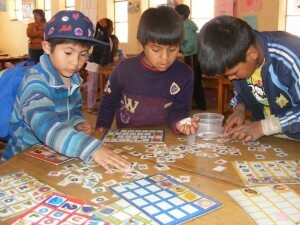 Young children at IPTK early childhood education centre in Alto Delicias outside Sucre, Bolivia. In this update, Director of Programs Heather Johnston takes the reins (keyboard?) 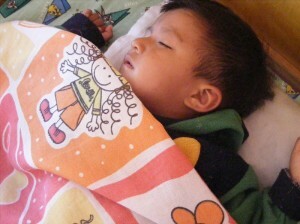 as blogger-du-jour and brings us a post from Tomás Katari Politecnic Institute (IPTK), a CFTC partner that runs early childhood development centres in and near Sucre, Bolivia. I am sure many of you who are parents will sympathize with the family scene Heather witnesses – and also with the thought that kids are kids around the world, whether in Canada or Bolivia … or anywhere else! IPTK is doing outstanding work helping Bolivia’s impoverished families get their children off on the right foot in life and build a future where they can reach their full potential and we are excited to continue to fund this important work. Sucre, Bolivia, Jul 28, 2012–At Tomás Katari Politecnic Institute (IPTK), I watched two young brothers fight over a couple of soft drinks that their mother was offering them. I was reminded of the same scene that had played out between my own two children dozens of times – and probably in many of your homes and schools, too. The boys’ mother had bought several juice drinks for them to share, but the youngest brother – maybe two years old – was having none of it. All of the drinks were for him! Each time his mother tried to hand a drink to her older son, the youngest would squawk. He didn’t care about the flavour of the juice – he just wanted the drink that his brother had! How many times had I negotiated the same squabble in my own home? This scene took place as we participated in a parents’ meeting at a child development centre run by CFTC partner IPTK in Sucre, Bolivia. It brought home for me once again that children the world over are the same. They are all born with the same needs and wants and ways of seeing the world. They all come into this world with huge potential. It’s our role to ensure that each and every child has the opportunity to maximize his or her potential, no matter what life circumstances surround that child. 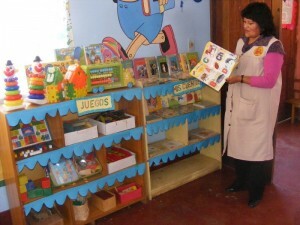 IPTK's Sucre-based locations are well-equipped with learning materials. This is the philosophy of IPTK, too, which runs pre-school and after-school programs for children living in low-income neighbourhoods in and around Sucre. As I looked around at the parents attending the meeting (nearly all of them women!) it was clear that many were coming from jobs that involved manual labour. The fathers mostly work as drivers or bricklayers and the mothers as domestic staff or as sellers in the markets. In many neighbourhoods, there are large numbers of immigrant families moving to the outskirts of metropolitan centres like Sucre to escape the poverty of rural life. It’s difficult to imagine that the poverty they find in the city is better than the life they left behind – and yet they claim their lives are better here. This classroom helper shows off IPTK's well-stocked, bright and cheery classrooms. We visited several child development centres today run by IPTK: all of them clean, bright and cheery with lots of learning materials and trained teachers. The children get two wholesome meals a day along with nutritious snacks. There is a sense of pride and ownership among the staff here – indeed, some of them are former children from the centres! 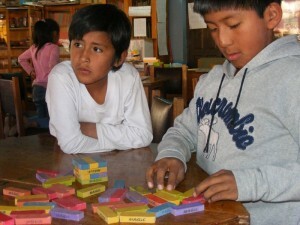 IPTK believes that every child has the potential to succeed if given a chance in life. As I watched the little boy struggle in frustration to take the drink away from his older brother, I could only feel satisfied knowing that he will get as good a start in life at the IPTK centre as my own son in Canada – who would have been every bit as determined as this little boy not to let his big brother get what he wanted! Genevieve will be back in a few days with our final post from Sociedad Católica de San José (SCSJ), CFTC’s partner in La Paz. P.S. The children of IPTK do absolutely beautiful art work. Enjoy some of their masterpieces here!